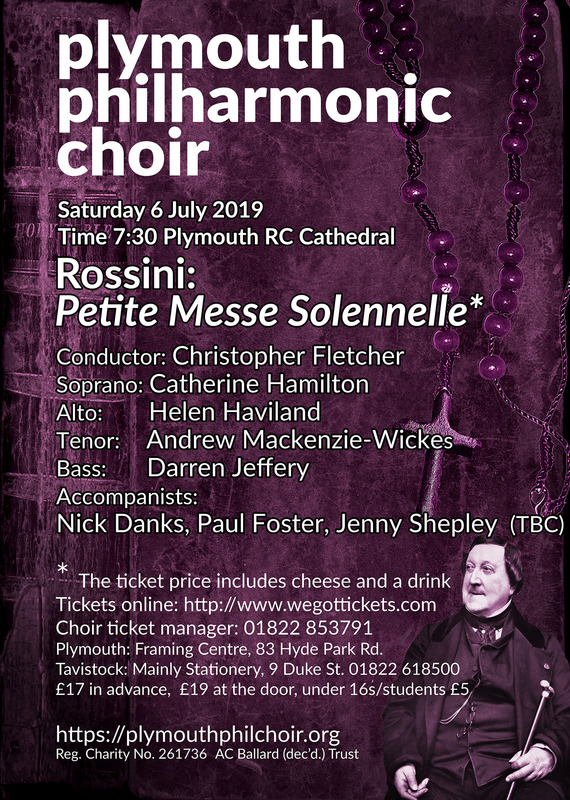 Christopher Fletcher considers himself to be both fortunate and privileged to have been Plymouth Philharmonic Choir’s conductor since 1996, during which time the choir has come to be recognised as one of the best in the South West. 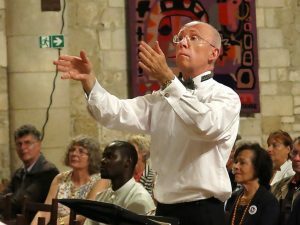 As well as the choir’s regular concerts with professional orchestras and soloists in Plymouth he has conducted the choir in cathedrals and churches all over Europe, including Notre Dame in Paris. Christopher was born in Leeds. At an early age he began to show considerable musical talent. At the age of ten he won the Northern Choirboy’s Championship in Harrogate singing Hear ye Israel from Mendelssohn’s Elijah and two years after this he became the first boy treble in the Bradford Diocese to be awarded the R.S.C.M. St. Nicolas Award. In 1978 Christopher was awarded a scholarship to study at Trinity College of Music, London. After graduating Christopher moved to South Devon, since when he has been actively involved in choral singing, church music and teaching. He has been organist and Master of Music at Plymouth R. C. Cathedral since 2001, previously holding a similar post at the Parish and Priory Church of St. Mary, Totnes. In addition to Plymouth Philharmonic Choir, Christopher is also currently conductor of the Stanborough Chorus, Kingsbridge, and is a former conductor of The Lupridge Singers, The Chagford Singers and the South Devon Choir. As well as being in demand as a workshop teacher, Christopher helped to found the annual Rotary Club Come and Sing in1999.This is now an annual event which, under his direction, regularly attracts two hundred singers from all over Devon and beyond. In 2008 he was awarded a Paul Harris Fellowship by Rotary International. The extended work is a missa solemnis, but Rossini labeled it, not without irony, petite (little). He scored it originally for twelve singers, four of them soloists, two pianos and harmonium. The mass was first performed on 14 March 1864 at the couple’s new home in Paris. 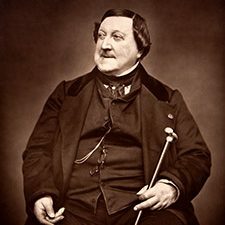 Rossini later produced an orchestral version, including an additional movement, a setting of the hymn “O salutaris hostia” as a soprano aria. This version of the mass was not performed during his lifetime because he could not obtain permission to perform it with female singers in a church. 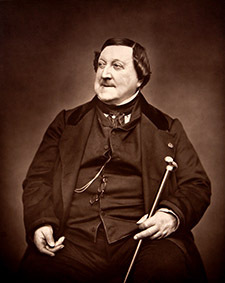 It was first performed three months after his death, at the Salle Ventadour in Paris by the company of the Théâtre-Italien on 24 February 1869.